"My little boy" one pieces outfit. 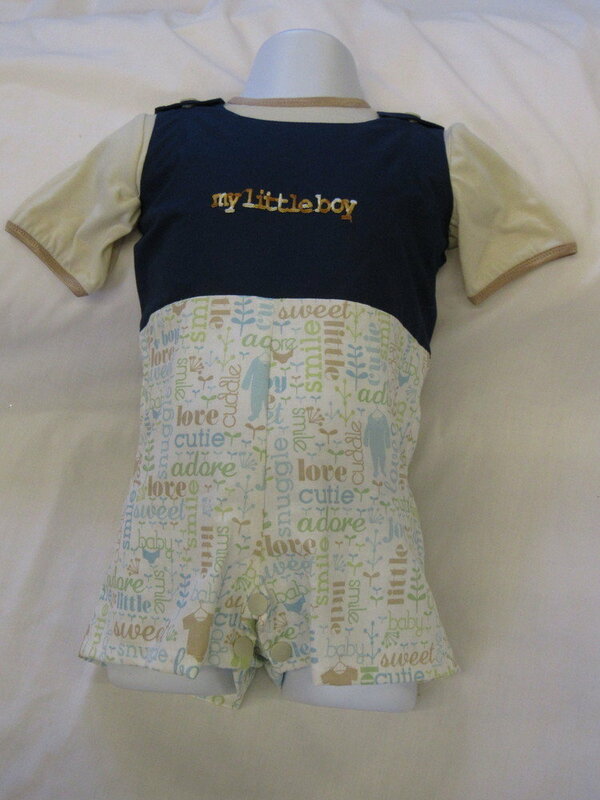 Cotton print and solid blue with beige stretchable fabric was used create a bodysuit for easy on and off by Mom or Dad. Printed fabric has cute names for your little boy. Snap crotch, neckline and shoulder add to easy of on and off.